The Neidhammer Coffee Company in Indianapolis will be open this Christmas with free coffee and donuts for people who will be spending the holidays alone. 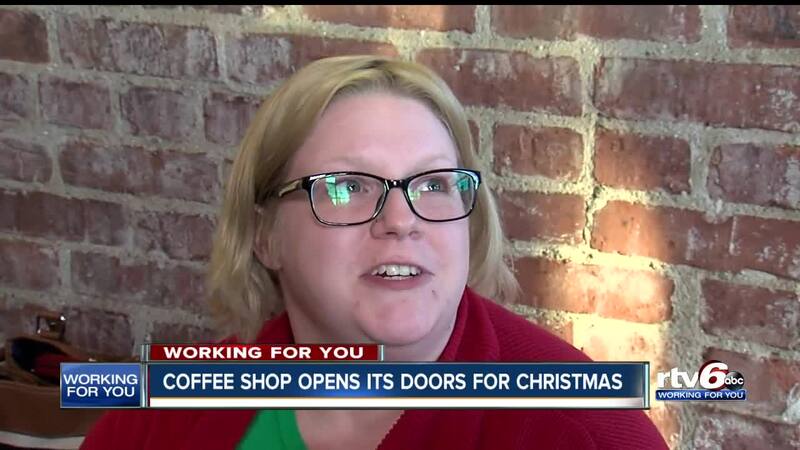 INDIANAPOLIS — A coffee shop in Indianapolis will open their doors on Christmas Day for those who would otherwise spend the holiday alone. From 12-3 p.m. on Christmas Day, Neidhammer Coffee Company, at 2102 E. Washington St., will be offering free coffee and doughnuts to those who come to the store. John Hobleman, general manager of Neidhammer Coffee Company, said he asked employees if anyone would be able to work on Christmas Day. "We put it out to our employees is anybody available for Christmas,” Hobleman said. “Four of our employees were actually going to be alone for Christmas. They responded very excitedly about it and we put it together from there." Becky Poselwaite, a customer who goes to the coffee shop, said she thinks it’s a fantastic idea. To learn more information about the coffee shop, you can visit their website.